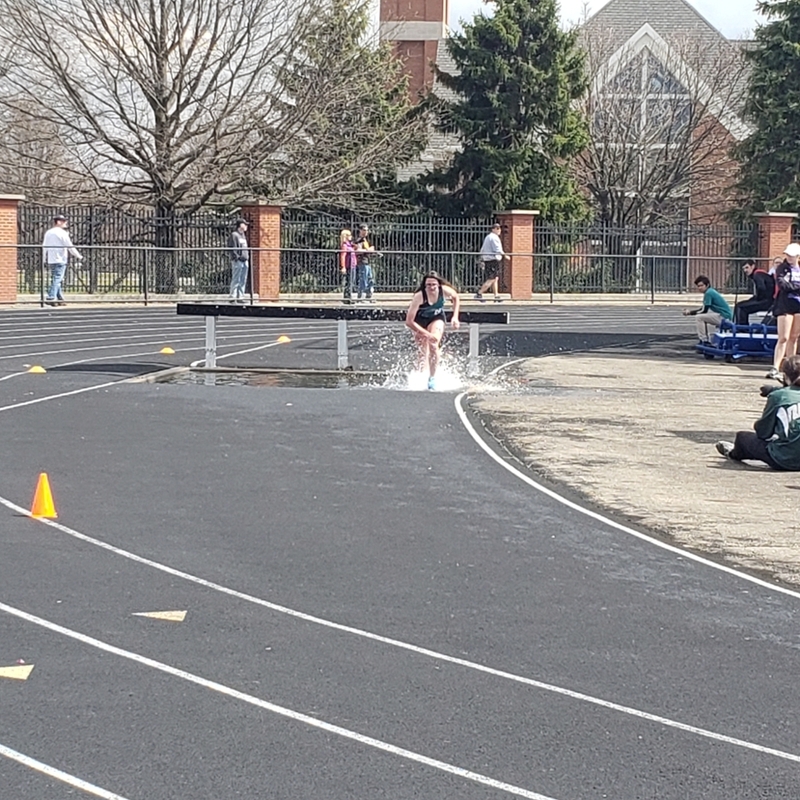 Warm weather contributed to terrific performances at Westminster College by the women's track team. In the field events, Artis Sims (Statham, Georgia) qualified to the NJCAA National Final in the discus with a 132' 2" throw. She has also qualified in the hammer and shot. Artis threw a personal best 44' 7" in the shot and launched the hammer 148' to place in all three throwing events. On the track, the women's 4 X 100m relay team of Kamry Brown (Lima), I'tayia Harris (Lima), Kiara Axson (Painesville) and Aja Duvall (Northfield) took 1st place with a time of 49.46, just off the qualifying standard of 48.73. Kamry Brown doubled back to win the 400m dash in a personal best time of 57.93 while teammate Aja Duvall captured 4th place in the 200m dash. The team travels to Baldwin Wallace next weekend for the final tune up before NJCAA Region XII competition. The two day meet at Mount Union was highlighted by dynamic performances in the field events. Artis Sims (Georgia) placed 2nd in both the shot put (41' 9") and in the hammer (130' 8"). Niki Bartasova captured 5th place in the triple jump and added a 9th place finish in the long jump. Teammate Vanessa Lane placed 6th in the women's high jump. The women's 4 X 400m relay team of Kamry Brown (Lima), I'Tayia Harris (Lima), Kiara Axson (Painesville) and Aja Duvall (Northield) placed 4th in 50.02. Personal bests on the track were run by Hannah Heath (Black River) in the 1500m and I'Tayia Harris in the 400m hurdles. Emily Zimmerman (Cuyahoga Falls) made her splashing debut in the 3000m steeplechase finishing in 10th place. The team travels to Pennsylvania for next weekend's competition at Westminster College. 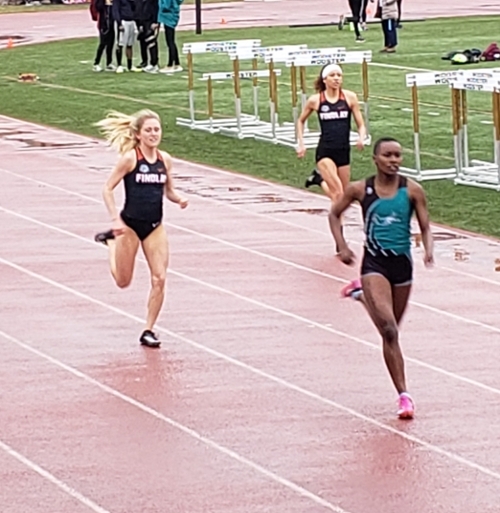 The women's track team showed no signs of slowing up despite the steady rain at the College of Wooster. Kamry Brown (Lima) won the 400m dash and also anchored the 4 X 100 relay team of I'tayia Harris (Lima), Jasmon Scott (Northfield) and Aja DuVall (Northfield). In the 400m intermediate hurdles, Madision Tasich (Tallmadge) finished 5th in 1:11.3 and teammate I'Tayia Harris finished in 8th position. The 4 X 400m relay team of Aja Duvall, I'Tayia Harris), Madison Tasich, and Kamry Brown finished 3rd. The field events also powered the women's team as Artis Sims (Statham, Georgia) won the shot with a 41' 9" throw. Artis was second in the discus with a toss of 130'. Vanessa Lane (Tallmadge) captured 5th place in the high jump and Niki Bartasova (Brooklyn) was 6th in the triple jump. The team travels to the University of Mount Union next weekend. 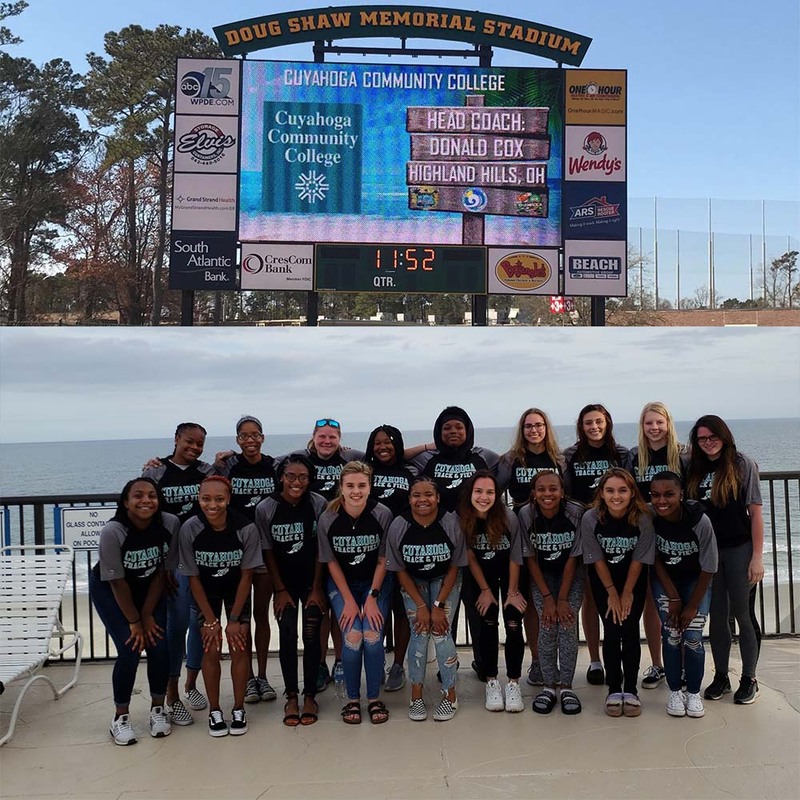 The women's team using the 70 degree weather turned in some excellent performances as they opened the 2019 outdoor track season at Coastal Carolina's Shamrock Invitational. Artis Sims (Statham, Georgia) got off a 153' hammer throw to surpass the national outdoor qualifying mark of 140' 10." Artis followed up her hammer qualifying mark with a 41' 7" shot put and 124' 9" discus throw. On the track, the 4X100m relay team of Kamry Brown (Lima), I'Tayia Harris (Lima), Jasmon Scott (Northfield) and Aja DuVall (Northfield) ran a solid 50.45, missing national qualification by less than two seconds. Kamry Brown doubled back to run a fine 12.59 100m and a 59.27 400m while teammate Aja DuVall opened the outdoor season with a 26.27 200m. Vanessa Lane turned in a 400m intermediate hurdle time of 1:10.9 while the 4X800m relay team of Hannah Heath (Black River), Hope Brown (Midpark), Sierra Taylor (Conneaut) and Emily Zimmerman (Cuyahoga Falls) finished in 6th place. The team travels next to the College of Wooster on March 30th for the Fighting Scots Outdoor Track Invitational. 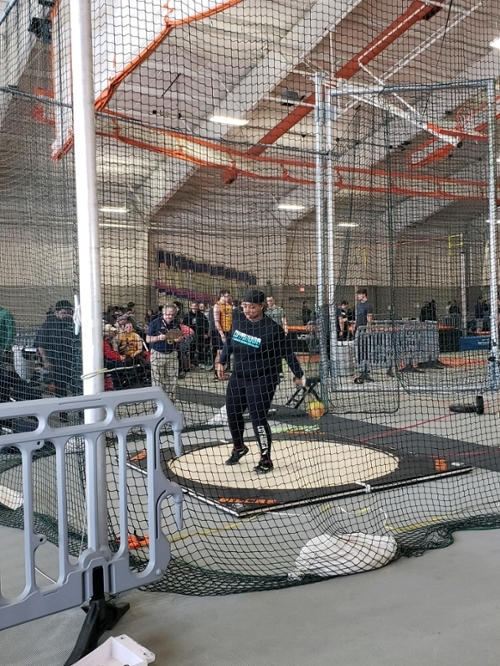 The women's track team traveled to Pittsburgh State University in Pittsburgh, Kansas to compete at the 2019 NJCAA Indoor Track Championship. Leading the way on the track was Kamry Brown (Lima) who finished 12th in the 400m dash in a school record time of 58.52. The Distance Medley Relay team of Sierra Taylor (Conneaut), Aja Duvall (Northfield), Emily Zimmerman (Cuyahoga Falls) and Hannah Heath (Black River) finished 15th. In the field events, Artis Sims (Statham, Georgia) finished 12th in the shot with a toss of 41' 8 3/4" and 13th in the 20lb weight with a 48' 1 3/4" throw. The team opens their outdoor track season next week when they travel to Myrtle Beach, South Carolina to compete in the Coastal Carolina University Shamrock Invitational. 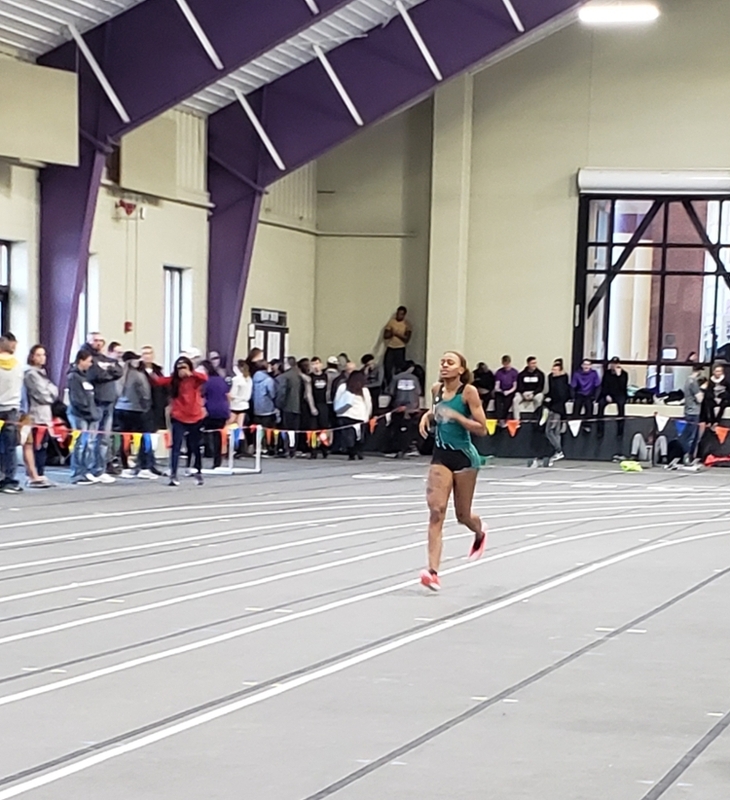 The women's indoor track team capitalized on balanced scoring in both running and field events to capture the 2019 NJCAA Region XII Indoor Track & Field Championship held at Defiance College. The competition got off to an exciting start as the distance medley relay team of Hannah Heath (Black River), Aja Duvall (Northfield), Emily Zimmerman (Cuyahoga Falls) and Hope Brown (Middleburg Heights) held off a determined Muskegon quartet to claim the race by less than a second. This set the tone for the meet as Sierra Taylor (Conneaut) won the 5000m and the top three places in the 600m were taken by Kamry Brown (Lima), Madison Tasich (Tallmadge) and Timberly Edwards (Cleveland). Day two of the competition began with the field events as national qualifier Bri Sims (Statham, Ga.) won both the weight throw and shot. Niki Bartosova (Berea-Midpark) and Jasmon Scott (Northfield) combined for first and second place in both the long and triple jumps. In the sprints, Kamry Brown led a sweep of the top three finishers in the 400m. Following Kamry to the finish line were Timberly Edwards and I'Tayia harris). I'Tayia also placed first in the 60m dash while teammate Aja Duvall won the 200m dash. Vanessa Lane captured the 60m hurdle crown. The meet ended on a high note as Hannah Heath won the 3000m run and the women's 4X400m relay team of Aja DeVall, Sarah Shahan (Middlefield), Madison Tasich, and Kamry Brown crossed the finish line as Region XII champions. 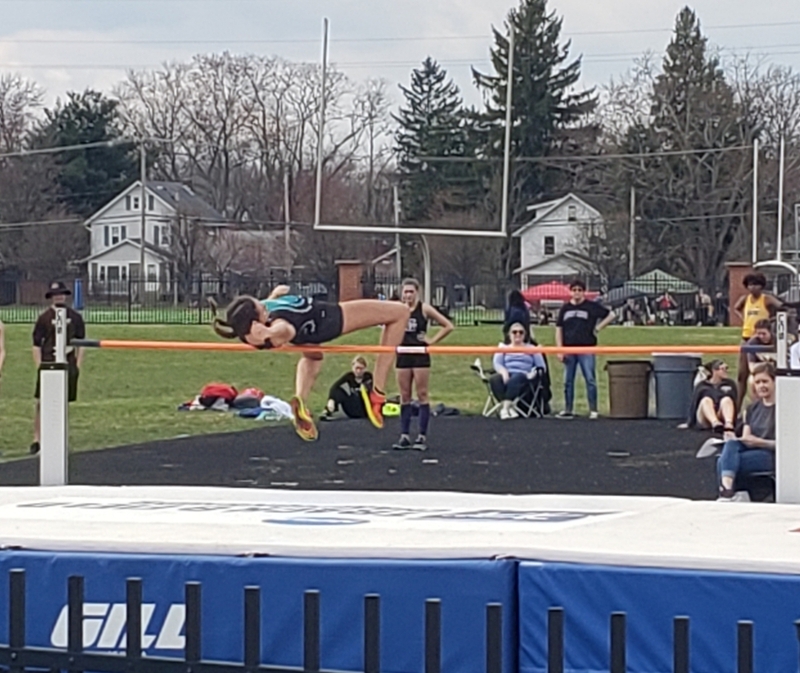 The Cuyahoga women's track team put together solid performances in both the field events and on the track as they prepare for next weekend's NJCAA Region XII Indoor Track Championship. In the field events, the team was once paced again by thrower Artis Sims (Statham, Georgia) who recorded a 3rd place in the shot with a toss of 41' 9" followed by a 4th place throw of 48' 3" in the 20 lb. weight throw. Vanessa Lane (Tallmadge) captured 3rd place in the high jump with a leap of 5' 1". In the sprints, Kamry Brown (Lima) won the 400m dash in 1:01.00 and placed 2nd in the 200m in 27.07, just placing ahead of 3rd place teammate Aja Duvall (Nordonia). Also scoring in the 200m were Timberly Edwards (Cleveland) in 6th and Madison Tasich (Tallmadge) right behind in 7th place. The women's 4 X 200 relay team of Jasmon Scott (Nordonia), Sarah Shahan (Middlefield), Madison Tasich and I'Tayia Harris (Lima) took 3rd in a time of 1:54.4. In the 1000m run, Emily Zimmerman (Cuyahoga Falls) finished in 6th place (3:32.8) just ahead of 7th place finisher and teammate Hannah Heath (Black River). The team travels to Defiance College on Thursday, Feb 7th and Friday, Feb. 8th for NJCAA Region XII competition. The Cuyahoga women's track team opened their indoor campaign with a national qualifying performance in both the shot and 20lb weight throw by Artis Sims (Statham, Georgia). Both her shot distance of 40' 6" and weight throw of 49' surpassed the national qualifying standard. On the track, the sprinters carried the load as freshman Aja Duvall (Nordonia) placed 3rd in the 200m dash in 26.8. Kamry Brown (Lima) finished 7th in the 60m at 8.20 and came back to take 7th place in the 400m in 1:03.7. Timberly Edwards (Cleveland) finished 7th in the 600m in 1:51.5 followed by 8th place finisher Sarah Shahan (Middlefield) in 1:58.0. In the distance events, Sierra Taylor (Conneaut) placed 5th in the 800m in 2:38.0. The distance medley relay team of Hannah Heath (Black River), Sarah Shahan, Emily Zimmerman (Cuyahoga Falls) and Hope Brown (Middleburg Heights) finished 3rd. The team travels next to the University of Mount Union on Saturday, February 2nd for the Jim Wuske Indoor Track Invitational.